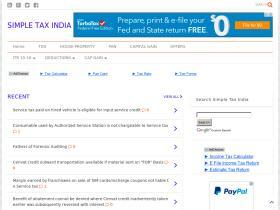 There are a number of Indian sites that provide great personal finance advice. I have complied a list of the top 75 personal finance sites based on the ranking provided by Alexa. Please note that the statistics and the associated ranking provided by Alexa are an estimate but in general are a good indication of how popular a particular site is.I am also providing the popularity rank provided by SimilarWeb which is an alternate way to gauge a site’s popularity. You can use the attached excel file (List of top 75 personal finance sites) and sort the sites based on their respective SimilarWeb rankings. The data is as on December 13, 2016. I plan to update these rankings every quarter so keep checking this page regularly. Do let me know if you would like to add any more sites to this list. 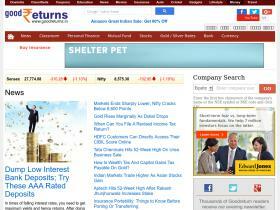 Good Returns is a web site that provides information about mutual funds, gold rates and share market tips. 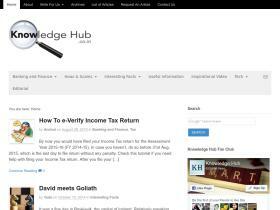 Tax Guru provides updates on income tax, wealth tax, corporate law, FEMA, etc. 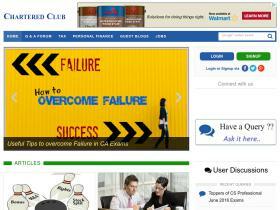 In addition, it provides a number of financial calculators and tools. 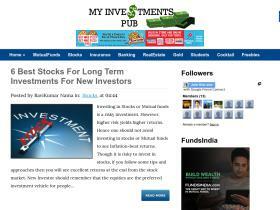 mutual funds, deposits, equities and new pension schemes. 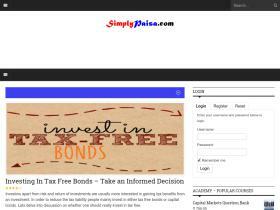 It has an informative blog in which various personal finance topics are discussed on a regular basis. 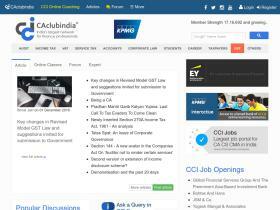 Chartered Club is an information sharing platform created with the purpose of educating its readers about the taxation system in India. Apart from gaining knowledge through their articles, readers can also interact with CA’s through their Q&A Platform. 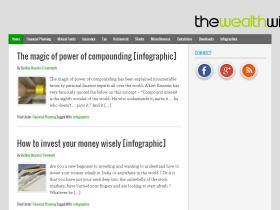 Be Money Aware Blog works to explain the concepts related to money, savings, tax, etc. 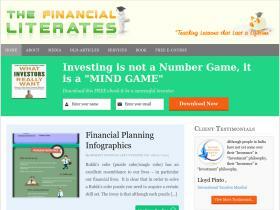 by simplifying the complicated finance jargon so that it can be understood by a lay person. 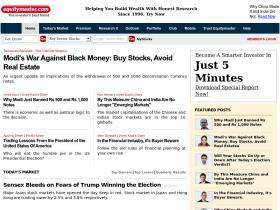 Equitymaster is a financial website that wants to empower every Indian investor to break free from the shackles of commission-driven advice fed to him by his broker. 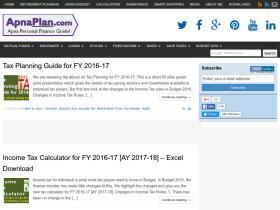 PlanMoneyTax is a blog authored by Chandrakant Mishra, He write articles about tax saving, tax planning, stock and mutual fund investing. 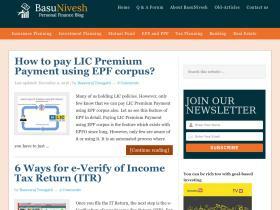 He also tries to guide about the insurance and provident fund using the blog. 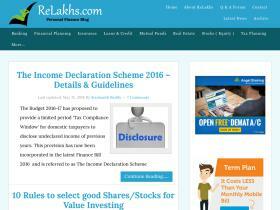 ReLakhs.com is a blog on personal finance created with the aim to present the information on financial products in a simple, unbiased and easy to understand manner . Money Excel is a blog owned by Raviraj Parekh, created with the aim to help others make better financial decisions about their money. 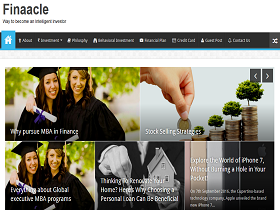 The blog has articles related to personal finance, investment, financial planning, insurance, real estate, stock market and other financial products. 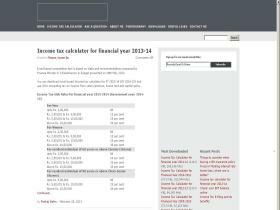 Simple Tax India is a website which offers up to date articles on income tax and saving avenues such as 80C, 80D, EPF, etc. BasuNivesh is an initiative started with the aim of educating each individual in dealing their financial life, making aware about mis-selling which may come into their life at any time through any means. 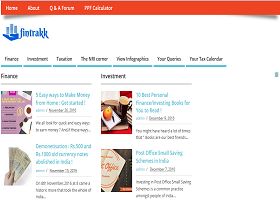 Jago Investor is a blog which allows ordinary folks like you and me take control of their personal finances by the way of informative articles and advice on PPF, Loans, tax, etc. Money Life is a vibrant news and views portal, which puts out information that is of direct relevance to investors, consumers and citizens. 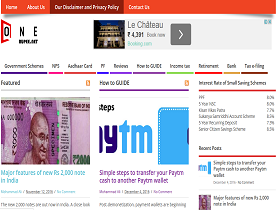 Bank India is a site which shares detailed information about bank fixed deposits, money transfer via net banking, tax and latest banking jobs. 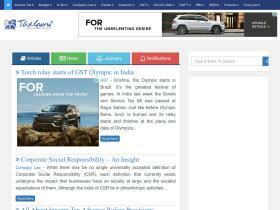 You can also get latest banking related news. 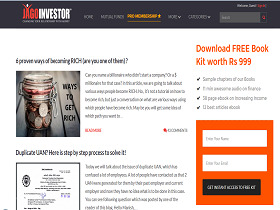 Myinvestmentideas is a blog authored by Suresh KP. 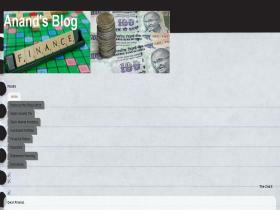 Through his blog Suresh writes about his experience with personal finance, investment ideas, etc. to help people struggling with good investment options. 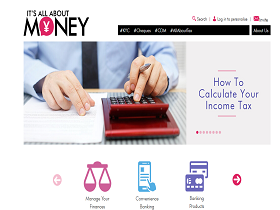 Its All About Money is a site that helps demystify the world of finances for you. It helps you make the right decisions regarding your investments, plan your finances and achieve your financial goals through simple, fun, interactive content & help from experts. 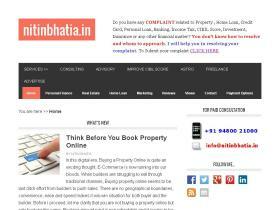 Nitin Bhatia is a blog on anything and everything on real estate and personal finance. 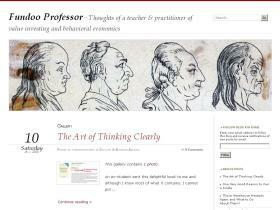 Through this blog, they challenge the traditional thought process related to money. 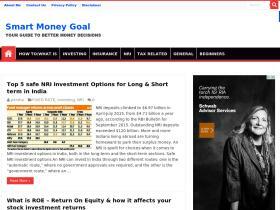 Smart Money Goal is a site owned and maintained by Parani Dharan. The blog aims to spread awareness on financial literacy by giving unbiased information to their readers on their personal finance based on the owner’s experience and common sense. 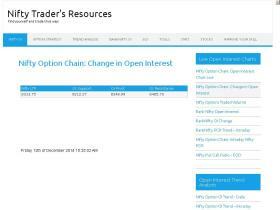 Nifty Trader is a website for trading in Indian stock market. 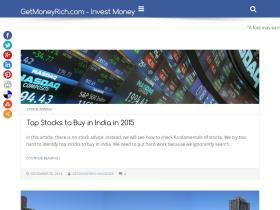 It focuses on technical analysis of Indian stock market NSE. 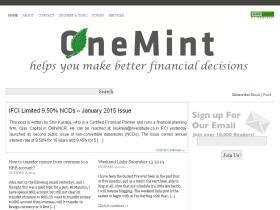 Indiamicrofinance.com is one of India’s leading blogs on financial inclusion, microfinance and digital money. 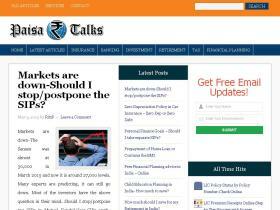 ApnaPlan blog is authored by Amit, who writes about his tryst with his investment decisions. In the 400+ posts on this blog you will find articles on Personal Financial Planning, Investments, Retirement Planning, Insurance, Loans, Fixed Deposits, Provident Funds, Stock Markets, Gold, Silver, Real Estate Investment, Credit Cards, Credit Score, Taxation, Inheritance Planning and Reviews on various Financial Products. 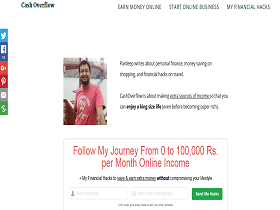 Cash Overflow is a blog authored by Pardeep who writes about personal finance, money saving on shopping, and financial hacks on travel. Basically, CashOverflow is about making extra sources of income so that you can enjoy a king size life. 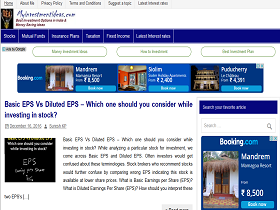 A website that helps you pick up stocks for investment purposes. 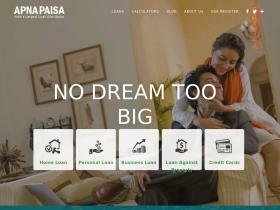 Apnapaisa is a part of Andromeda group, which is India’s largest distributor of loans, mortgage, financing and financial instruments such as personal loans, home loans, unsecured business loans, and loan against property. well as contributing to the knowledge of more experienced investors. On this blog, Mani Karthik shares everything that he learns in life – from tech to food, spirituality to health and finance to random thoughts. This blog is authored by Mani. 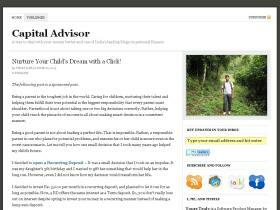 Through his blog he aims to help his readers become financially independent. 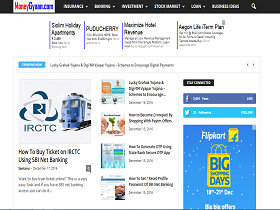 This site aims to give complete description and comparison of different investment schemes of India including State Bank of India, life-insurance, general insurance policies, mutual funds, plans for businessmen, government schemes, schemes for NRI's, home loans and much more. SimpleInterest.in has been started by Sanyam Jain with an aim to financially literate people by providing write-ups on finance and taxation. CardExpert has been founded by Siddharth, a Digital Marketer from South India. 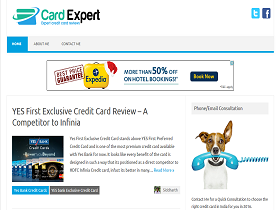 It is India’s only portal providing REAL reviews and tips solely on credits/debit cards, helping 1000’s of readers to choose the right card and make the best use of it. Safal Niveshak is a movement to help you, the small investor, become intelligent, independent, and successful in your stock market investment decisions. 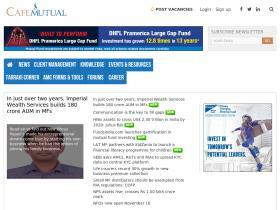 Café Mutual is meant for advisors and distributors of mutual funds, insurance and other financial products. The web site seeks to empower them with relevant news, knowledge and ideas so that they are able to grow and adopt higher professional standards. 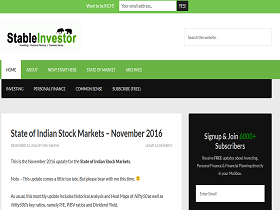 This site is an investment blog for the Indian markets. This blog is a forecast free blog i.e.it doesn’t make forecasts nor does it give any tips. 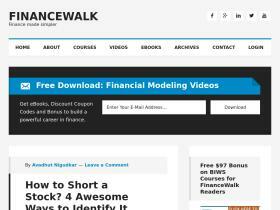 Financewalk is an initiative to help you, the finance career aspirant, become intelligent, independent and successful in your finance and investment career. 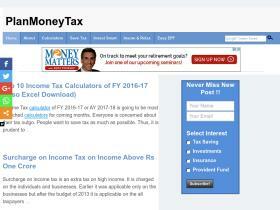 This blog is run by P V Subramanyam, a Chartered Accountant by qualification and a financial trainer by profession. The blog aims to help employees save better, invest better and equipping smart people with the tools to get richer. Stepupmoney is a website that provides a simple, practical approach to savings, investments, taxes and personal finance for one and all. 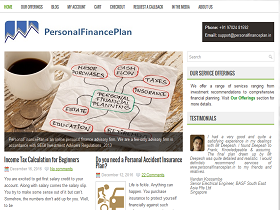 PersonalFinancePlan is an online personal finance advisory firm that aims to provide quality financial advice to its customers and help them make prudent financial decisions in life. 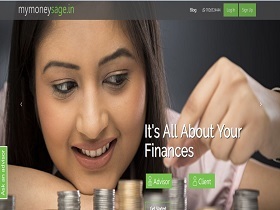 My Money Sage’s goal is to provide client centric personal finance platform to individual users and at the same time accelerate business growth among financial intermediaries in India. 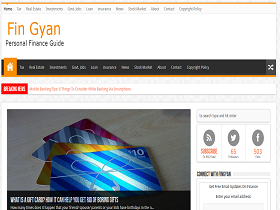 MoneyGyaan is a personally run website started with the idea to educate people about money, financial life, insurance & investment. Stable Investor is a site founded by Dev Ashish that helps real people (like you and me) invest profitably in stocks, get their personal finances in order and more importantly, use common sense to achieve what we want in life. Fin Gyan is authored by Neetu Sehgal. FinGyan is your personal finance guide. This finance guide will help you to keep yourself updated with the new terms used in this fast moving finance world. Finance Gyan (FinGyan) will explain common financial terms for a layman to understand. Authored by Hemant Beniwal, The Financial Literates is a dream & mission to make Indians financial literate. A lot of investors today are unsatisfied with the meager and slow returns that fixed deposits and famous stocks give... and are craving for something better. 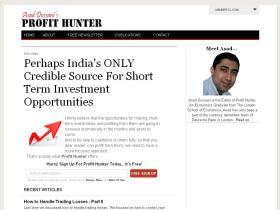 Profit Hunter will help you find opportunities for making consistent "short-term" profits, so that you can fulfill all your needs and desires, and also obtain another way to multiply your wealth more quickly. Good Moneying makes you disciplined in money matters. Following Good Moneying approach helps you take informed financial decisions after looking at holistic view of your current and expected financial situation and help you achieve your long and short term goals comfortably. 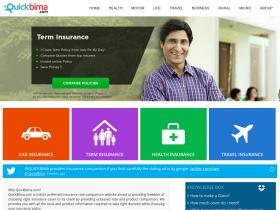 This website is managed by Madhupam. It is his way of imparting his experience of the financial world, sharing the insights, gaining the wisdom and exposing the truths… yes, the dark ones too. 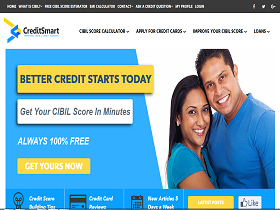 CreditSmart brings India valuable daily articles to shape and build your financial life. Credit cards, auto loans, mortgages. 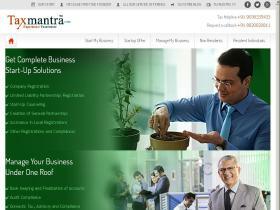 Taxmantra is a professional services firm rendering business startup, fund raising, tax & regulatory compliance services in India, US, Singapore and middle east. 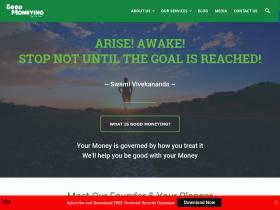 The site is owned by Keerthika Singarave, who spends a lot of time reading up, thinking about and working at wealth building. In the course of these activities she comes across a lot of fascinating tidbits, insights and nifty tools she records in “Wealthymatters”. 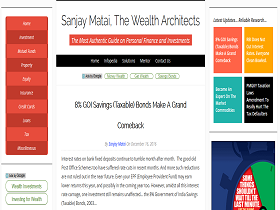 The Wealth Architects is a site promoted by Sanjai Mathai. 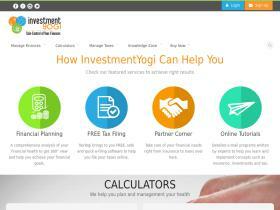 The site is meant to act as guide to personal finances and investments. 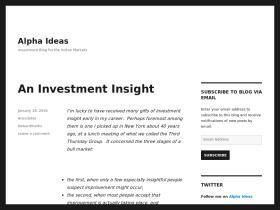 Fundoo Professor is a blog authored by Prof. Sanjay Bakshi who shares his thoughts on investment and human behavior in the blog. Capital Ideas Online is a website that has been set up with the objective of tracking the economy, deciphering trends, extracting signals from the noise, locating inflection points, identifying opportunities etc all under the umbrella objective of facilitating the enhancement of the wealth generating capacity of society. This blog has been founded by Vipin Khandelwal to share simple, educative and actionable ideas on money and investments. Fintrakk.com is a Personal Finance Blog, an initiative by a team of experienced professionals to enhance the knowledge of its users, by providing an “Informative and Interactive platform” to meet all their Finance, Investment, Taxation and Accounting needs. 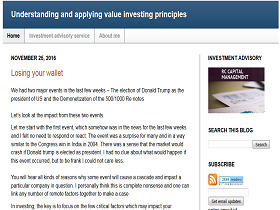 This blog is authored by Aswath Damodaran, a Professor of Finance at the Stern School of Business at NYU. 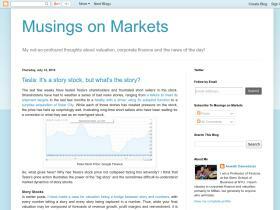 The blog is a compilation of his thoughts about valuation and corporate finance. 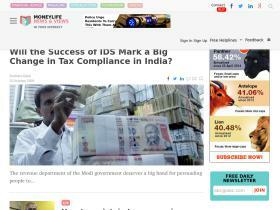 This blog has been created and maintained by Anand Vijaykumar. The purpose of this blog is to educate people about the financial industry and to share his opinion about the day to day happenings in the Indian and world economy. Capital Advisor is a way to deal with your money better and one of India's leading blogs on personal finance. Knowledge Hub was started by Anshul Dixit in December 2009 to spread awareness among people, by presenting well-researched articles on various topics, in a simple and interesting manner. 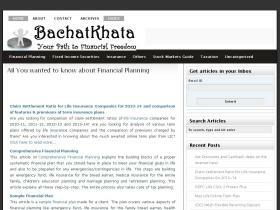 Paisa Talks offers financial planning by a certified financial planner in India. 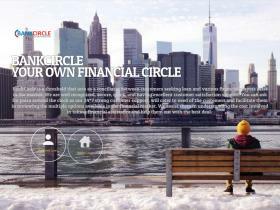 A step by step guide to achieve your financial dreams. 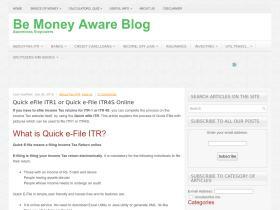 OneRupee.net is a personal finance blog focused on the money related topics such as EPF, PF, income tax filing, investing, taxation, credit score, product reviews and lot more. In the blog you will find information on money and its management, tourist destinations and their plans, technology and its use, food and its source and answers to all your questions. This blog is an online diary of its author Rohit Chauhan’s exploration of the craft and process of investing. 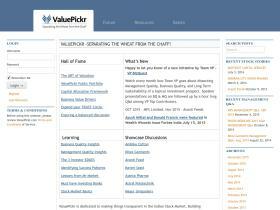 In the 500+ posts on the blog, you will find analysis of numerous Indian companies and industries. Finaacle is written by Vikas Agarwal, who focuses on simplifying the art of investing and the causes of human misjudgement when it comes to investing. 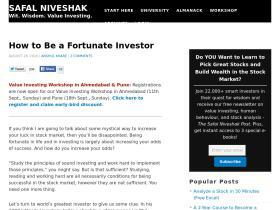 Vikas also shares his experiences as an investor and lessons from some of the greatest investors of all time. 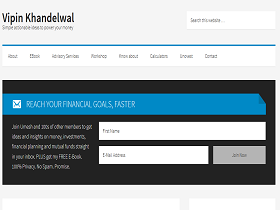 This website is owned by Ravi N. Using the site he would like to bring some awareness among young employees, particularly software engineers about various investment approaches to make invest them in the right financial products. 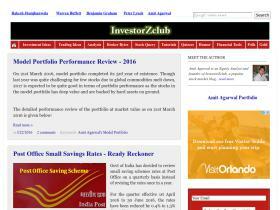 InvestorZclub is an equity analysis and personal finance. The objective of the blog is to simplify the process of investing and encourage thought based approach of stock selection. 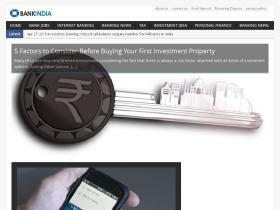 FinanceDunia is professional blog on the daily financial news like home loan, car loan, education loan, personal loan, car insurance, life insurance, health insurance, mutual fund, fixed deposit, provident fund, stock market, demat account, savings accounts, current account, salary accounts and many more. 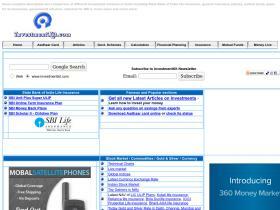 Bachatkhata is a personal finance website. 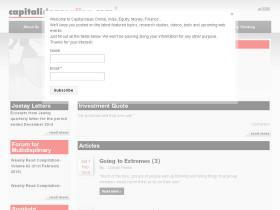 On this site you will find articles on Personal Financial Planning, Investments, Children’s Education Planning and Marriage Planning, Retirement Planning, Life Insurance, Taxation and Product Reviews on various Financial Products. 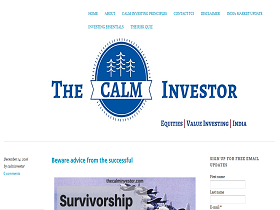 ‘The Calm Investor’ is an informational website on the topic of equity investing, mainly in the Indian markets. 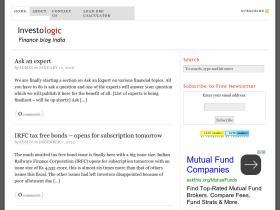 That’s a very useful list of finance blogs in India. 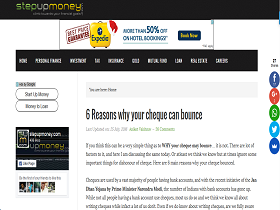 Can you please also add http://moneygyaan.com/ in this list. Thanks. I plan to update the list in Feb. I will make sure to include moneygyaan.com to the list. What do your views on Bharatafinance.in ? I will make sure to include this site the next time I update the list. 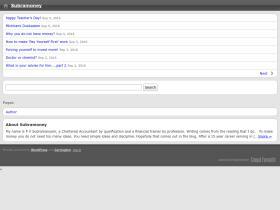 Awesome, I loved this website. I also want to say that their is one of the most loved website now a days. They are providing insurance tutorials / e-learnings / quizzes about finance across the global world. Hope you would also like it. 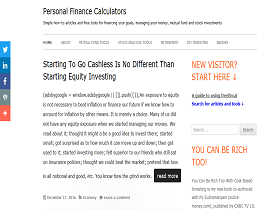 Financial professional must read this article they can know many new blog which is having full of information. Nice blog. Thanks for sharing this nice blog. I follow many financial bloggers on the net, thanks for adding few more to it I'm definitely going to bookmark this article for future references. Hello You can add FinFYI to this listing, as its great finance site with all useful and informative post. 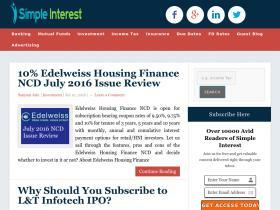 You put great information about personal finance web-sites in India. This is very useful and informative contents. People will contact us for more information like GST in India, Payment of tax, Interest, Penalty and other amounts under GST. Now a day, people can manage business accounts through apps on a smartphone like sales, purchase, customer invoices, bills, HR & payroll and account managements in quick time. Very exhaustive list. Amazing curation. You have made sure nothing is left out. Kudos to you. I am impressed! Very useful info. OUR #FIRST #TGT 22.00 ALMOST ACHIEVED IN DIVISLAB BUY CALL , BOOK PARTIAL PROFIT CMP 21.80 . AND TRAIL SL TO COST. 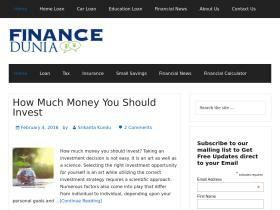 Great list of personal finance blogs. Thank you for sharing. 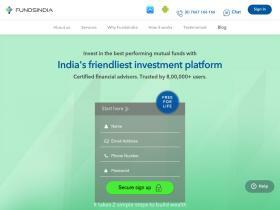 Thanks for sharing this Top 75 personal finance sites in India. I feel happy to land on this web page. Thanks for sharing. Looking for fast cash loans with minimum risk profile? Apply with Finfree Enterprises to get best mortgage loans in Hyderabad at affordable interest rates.